Combining playful detail with serious storage capability, the Perf File Cabinet offers simplicity in both form and function. 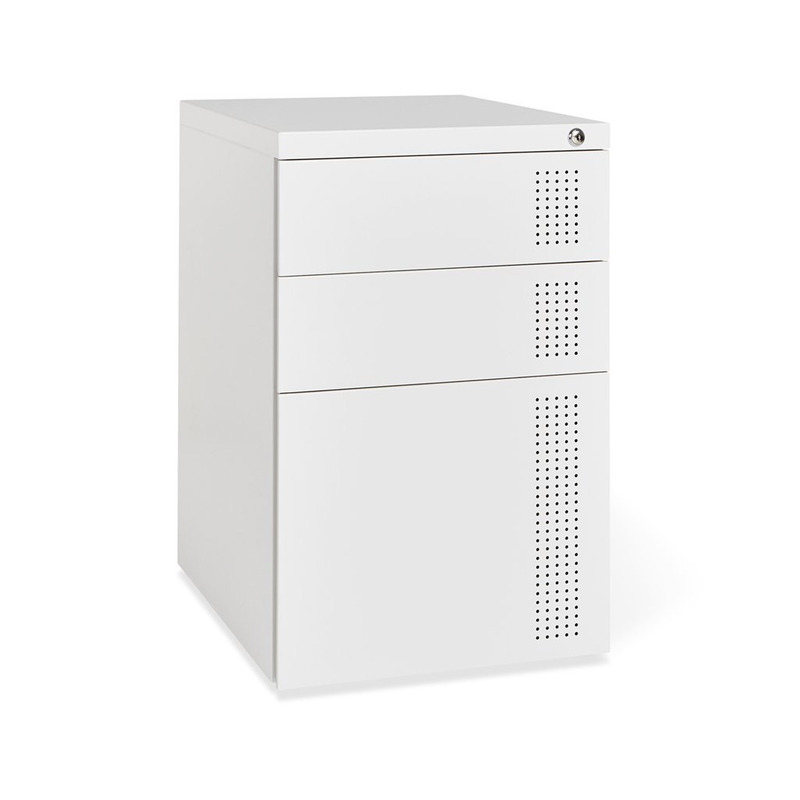 The lockable, three-drawer file cabinet features ample space for documents and personal items, including a top-drawer tray for smaller stationary items. Castor wheels and a compact design allow it to glide effortlessly under standard desks like the Envoy Desk, making it easy to keep your space open and tidy. A delicate perforated detail adds subtle interest to this sleek and classic piece. Features 2 small drawers and 1 large drawer. Filing Cabinet has 5 castors so it can glide effortlessly under standard desk sizes. 2 of the castors are lockable to prevent cabinet from rolling away. 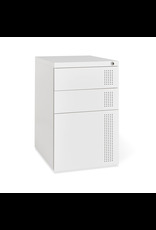 Top drawer is lockable so your personal items are safe and securely stowed away. Two keys are provided. Top drawer features a tray separator, perfect for smaller stationary items. Main drawer comes with hanging file separators to store folders and important documents. The cabinet is made from matte, powder-coated steel.